Acronym for United States Air Force. The USAF is the aerial warfare branch of the U.S. armed forces and one of the American uniformed services. It is also where the term UFO originated. However there were aircraft in the U.S. military long before the USAF became a distinct branch of the military. During the U.S. Civil War ( 1861–1865 ) and the Spanish-American War ( 1898 ) the U.S. Army used manned balloons for aerial observation. These craft can explain most of the UFO sightings of that time. However a few reports of what were then being referred to as mystery airships, describe objects that moved too fast for any machine of the day, or were observed in weather that would have grounded any type of flying machine of the period. There were about 1000 mystery airship reports during 1896 and 1897, mainly from California and adjacent states. On August 1, 1907 the U.S. Army Signal Corps formed an Aeronautical Division. It received its first airplane from the Wright brothers during 1909 and in December 1913 created the 1st Aero Squadron. On July 18, 1914, the Aviation Section of the Army Signal Corps was officially established. On May 24, 1918, President Woodrow Wilson created the Army Air Service and placed it directly under the War Department. The Army Reorganization Act of 1920 made the Air Service a combat arm of the Army. On July 2, 1926, the Air Corps Act changed the name of the Air Service to the Air Corps. On March 1, 1935, General Headquarters Air Force assumed command of U.S. based Air Corps tactical units. On June 20, 1941, the Department of War created the Army Air Forces ( AAF ). Prior to becoming directly involved in World War Two ( 1939-1945 ), the USA began research and development on weapons systems for export to Britain. Air superiority soon became a major objective and from those efforts came significant aeronautical improvements. By the end of the war, there were more airplanes than ever before, all capable of flying faster and higher than their predecessors. Yet none could match the performance of a phenomenon called foo-fighters, unidentified metallic spheres or balls of light that could easily outmaneuver any manmade aircraft then or now. Curiously, reports of foo-fighters originated largely over the European and Pacific Theaters rather than over the continental USA. One exception occurred on February 25, 1942, at the onset of American involvement in World War Two when a large UFO appeared over Los Angeles. It was presumed to have been an enemy airship and was fired upon by antiaircraft guns. The object remained in sight for over twenty minutes and was hit numerous times without any effect. Eventually it flew away over Long Beach and turned south over Santa Monica, receeding from view and apparently undamaged. The event also included the sighting of several highly maneuverable glowing red foo fighters. Following World War Two the frequency of UFO reports over the USA increased dramatically. During 1947 they became national news when Kenneth Arnold, a private pilot and businessman reported seeing nine unusual flying objects in the vicinity of Mt. Rainier Washington. 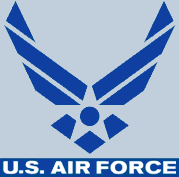 About two and a half months later on September 18 1947, the USAF finally became a separate branch of the military. Only a few days later, on September 23, 1947, Lieutenant General N.F. Twining ( later to become a full General ), authored a secret memorandum in response to an Air Intelligence request for further information about flying disks. Twining wrote that "The phenomenon reported is something real and not visionary or fictitious." He went on to state that, "The reported operating characteristics such as extreme rates of climb, maneuverability ( particularly in roll ), and action which must be considered evasive when sighted or contacted by friendly aircraft or radar lend belief to the possibility that some of the objects are controlled either manually, automatically or remotely." On January 22, 1948 the USAF began it's first official UFO investigative program called Project Sign. The conclusion of this investigation was that flying saucers are interplanetary spacecraft. This conclusion was not made public until 1956 when USAF Captain, Edward J. Ruppelt, revealed it in his book, The Report On Unidentified Flying Objects. Several more USAF investigations followed that together span over 20 years. The last publicly acknowledged project was Project Blue Book, ending in 1969. Since then, there is no doubt that military and security agencies of the USA have continued to gather and analyze UFO related information. Several attempts to legally force the disclosure of that information under the provisions of the FOIA have been blocked by national security exemptions. Consequently, the best information regarding the USAF and UFOs remains shrouded in military secrecy.